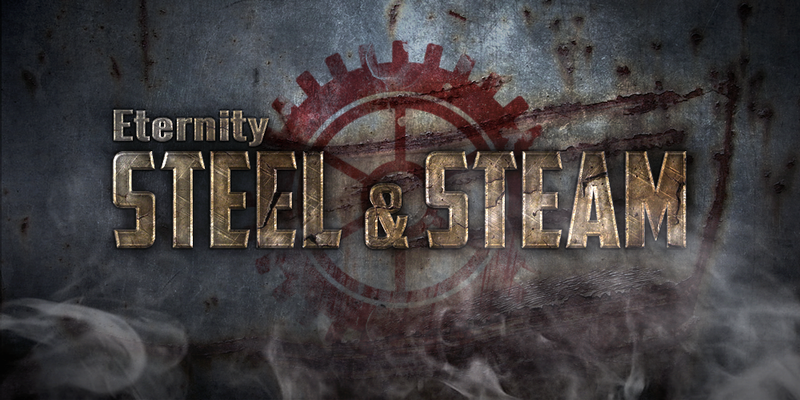 Today we have a look at the characters (and their vessel, Hell's Reach) from the Steel and Steam playtest! Killing Stroke: Once per scene, when you force an opponent to take a consequence, you can spend a fate point to increase the consequence’s severity (so mild becomes moderate, moderate becomes severe). If your opponent was already going to take a severe consequence, he must either take a severe consequence and a second consequence or be taken out. Ramming Speed! : When ramming another vehicle, you ignore two shifts of damage. So if you ram and hit for four shifts, you only take two yourself. Strength of the Earth: Your Fight attacks are Weapon:2, and nearly all “raw strength” applications of Physique are at +2, but you lack fine manipulation skills, suffering –2 to all tests requiring fine manipulation of some kind, such as picking a lock, or sewing up a wound. Body of Stone: You have Armour:1 against all physical damage due to your thick stone skin. Bulletstorm: Once per conflict, stack an additional free invoke on an advantage you’ve created to represent laying down sustained fire (like Hail of Fire). Lead in the Air: You really like emptying magazines. Any time you’re using a fully automatic weapon and you succeed at a Shoot attack, you automatically create a Fair (+2) opposition against movement in that zone until your next turn, because of all the lead in the air. Other Aspects: Trust Me, I’m an Engineer! ; Will Make Stuff for Food; Oooo, Shiny! Aesthetically Functional: Rick uses Engineering instead of Deceive to convince someone that his metal (mis)creations are actually functional provided that he built the looks. Explosives Expert: May use Engineering to Overcome physical obstacles. Ferocious Bite: You possess powerful, sharp teeth which you can use to deliver Weapon:2 attacks in combat. She's a big, heavy vessel that handles like an overweight cow, but she packs enough firepower to flatten anything in her way. If that doesn't work, there's always ramming speed. Originally a medium prison transport, she was taken over by pirates and repurposed as a mobile base of operations and raiding vessel. Since she has acquired her current crew she tends to be used for mostly for salvage missions, with the old prison cells turned into transport room. There's still a lot the crew don't know about the old girl, but one thing they do know: she just keeps on going, no matter what life throws at her. Reinforced Walls: Armour:1 against ballistic based ship-to-ship attacks. Daunting Presence: +2 to crew Provoke rolls when use Create an Advantage using the ship’s history/reputation. Emergency Thrusters: +2 to Speed rolls when used to Create an Advantage, or the ship can take the a mild consequence ‘Burnt Out Engines’ to gain +4 to Speed rolls for one round instead. Now, a little background as to how the group got to know each other. It all started when Helmut, as part of the pirate crew under the orders of Captain Braken, was told to attack an apparently unprotected civilian cargo transport. Things started to go south however when the Pirate Captain ordered all the civilians killed. Helmet knew this had to be stopped, and so went against his now former Captain's orders and attacked his own men. Unbeknownst to Helmet, the ship also carried Tieran and Adgan as passengers, and although they did not know each other or Helmet, they jumped into action when confronted with the opportunity to help. After a bloody fight Tieran, Helmut, and Adgan, now in possession of the pirate's ship and her Captain (bound and lock away below deck), the trio fell into their old rolls (Tieran as the Captain, Helmut as First Mate, and Adgan just being Adgan) and set off to the nearest port with the thanks of the civilian vessel. Once in port the trio hired more crew to help service the vessel, one of whom was the curious Fenrian Rick, who was happened upon by Helmut in his search for someone to repair his blade. Seeing the young wolf's craftsmanship, and knowing they had yet to find a suitable engineer to look after the ship, Helmut offered him a job. Since then they have been operating as a mercenary salvage crew, with the occasional 'Robin Hood' job on the side. This has made them one or two enemies along the way, foremost being Lord Filtchborne, a wealthy nobleman of Britannia and a member of their court. Filtchborne is constantly vying for more power in the court, and he will stop at nothing until he is at the very top.